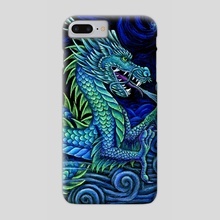 Chinese Azure Dragon. 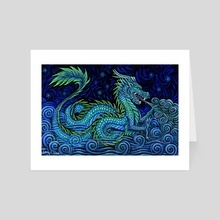 A blue Chinese style dragon floats in a sea of swirly mists. 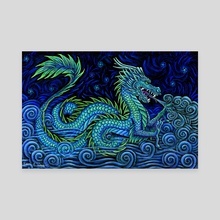 The Azure Dragon, called Qing Long in Chinese, is one of the Four Symbols of the Chinese constellations. It represents the East direction, the Spring season, and the element of wood. 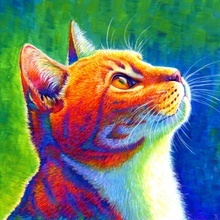 Original artwork created with pastels on black paper.